Supporting the Canadian national team, be it the women's sides or the men's at various levels, is often fraught with disappointment. After watching the Canadian women agonizingly crash out of the World Cup at the Quarter-Final stage to England last night it was another sad ending to a campaign for one of our national sides that promised so much more. Although there have been far too many moments like this in the history of soccer in this country, there have been some good moments for the sport here as well. 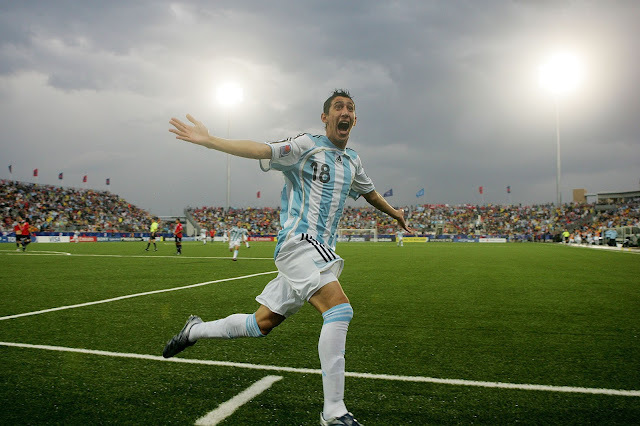 Played in front of a then record breaking crowd of 1,195,299 total spectators across the tournament, the 2007 U20 FIFA World Cup stands as one of the biggest sporting events Canada has ever hosted. Although our national side failed to make it out of the group stage, the tournament was a roaring success as Canadian fans and their guests flocked to watch future stars such as Alexis Sánchez, Angel Di Maria, Juan Mata, Sergio Agüero, and Luis Suarez strut their stuff. 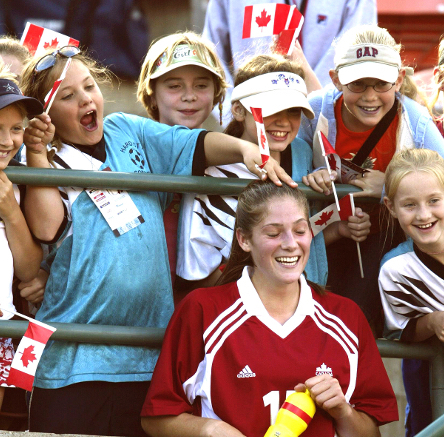 The 2002 U19 Women's World Championship in Canada was a pivotal moment for the sport in this nation as the large crowds, including a record 47,784 in attendance at Commonwealth Stadium for the final, showed that there was an appetite for women's international soccer in Canada. The Canadian side that stormed through to the final, with impressive wins over England, Japan and Brazil, would provide 12 players to the full senior squad including the talismanic Christine Sinclair, along with a core of talented players like Kara Lang, Candace Chapman, Robyn Gayle, Erin McLeod, Carmelina Moscato and Brittany Timko who would take the women's program to much success over the next decade. Although the hosts would lose to the United States in the final, 1-0 in extra time, the tournament was a great moment for women's soccer. 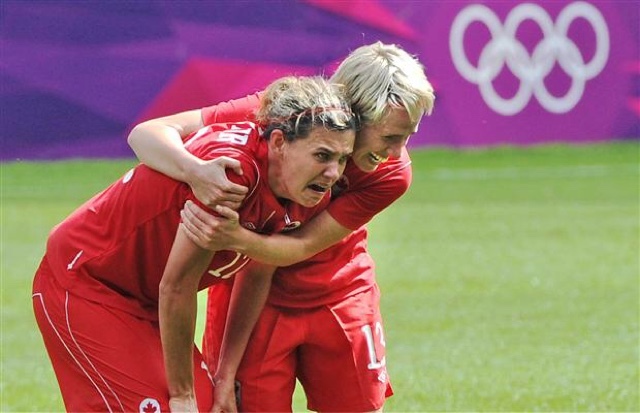 After a pulsating, and highly controversial, 4-3 loss to the United States in the Semi-Final of the 2012 Olympic Women's Soccer tournament, the team was able to pick itself up off the mat and beat a favoured French side 1-0 in the Bronze medal match with a goal by Diane Matheson to capture Canada's first Olympic medal in a traditional team sport in nearly 80 years. 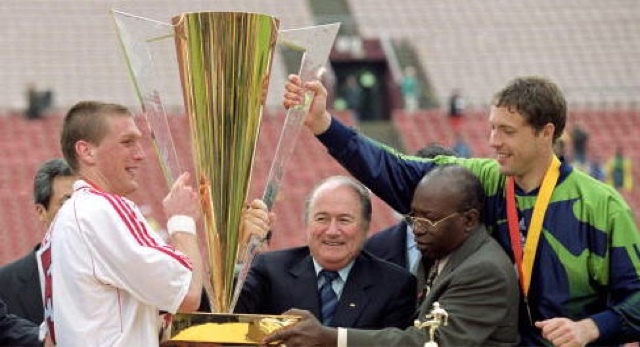 After the disappointment of missing out on the previous three World Cup's, while watching rival CONCACAF nations like the United States and Costa Rica surge ahead of them, Canada's men's side didn't have a lot of expectations heading into the 2000 Gold Cup. After drawing with Costa Rica and South Korea in the group phase they came up against the perennial regional powerhouse Mexico in the Quarter-Final. 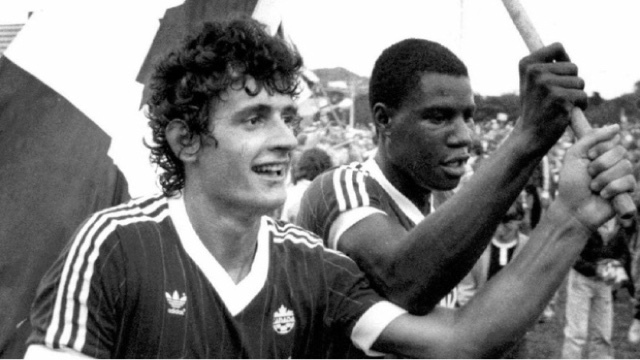 A stunning Richard Hastings golden goal, only two minutes into Extra Time, saw off the Mexicans though and sent Canada through to a Semi-Final with Trinidad who they would down 1-0. The final saw Canada face off against Colombia, and despite being the underdogs yet again the mighty reds would not be denied as goals from Jason de Vos and Carlo Corazzin fired them to a 2-0 win. At the tiny, and yet historic as the oldest soccer specific venue in North America, King George V Park in St. John's Newfoundland on September 14, 1985 Canada defeated Honduras 2-1 to qualify for their first and so far only World Cup. 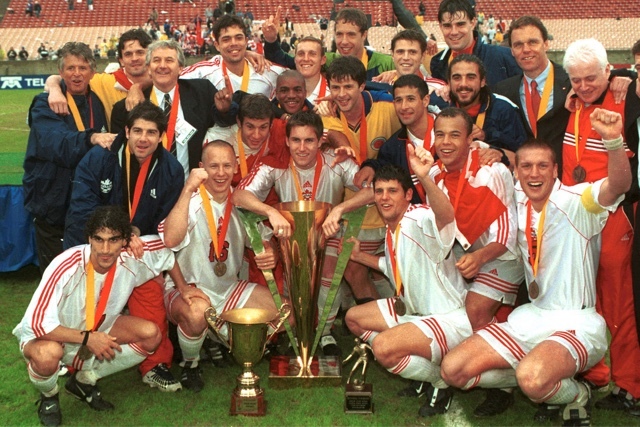 Goals from George Pakos and Igor Vrablic saw Canada through to the finals the following year in Mexico and although history states that 13,000 people were in attendance that day, virtually every Newfoundlander with a passing interest in soccer I've ever met claims to have been at this momentous match.